Is it really Thursday already? This week has flown by. It’s probably because Monday felt like a Sunday so I keep thinking it’s only Wednesday. I also have my nephew down here with us so I’ve been busy hanging out with two crazy boys and a baby. Whew! Talk about a good workout. We’ve been to the pool, beach, trampoline park, and tonight we’re going to ride go-karts. Not to mention the fact that it’s 99 degrees and it feels like 108 outside. 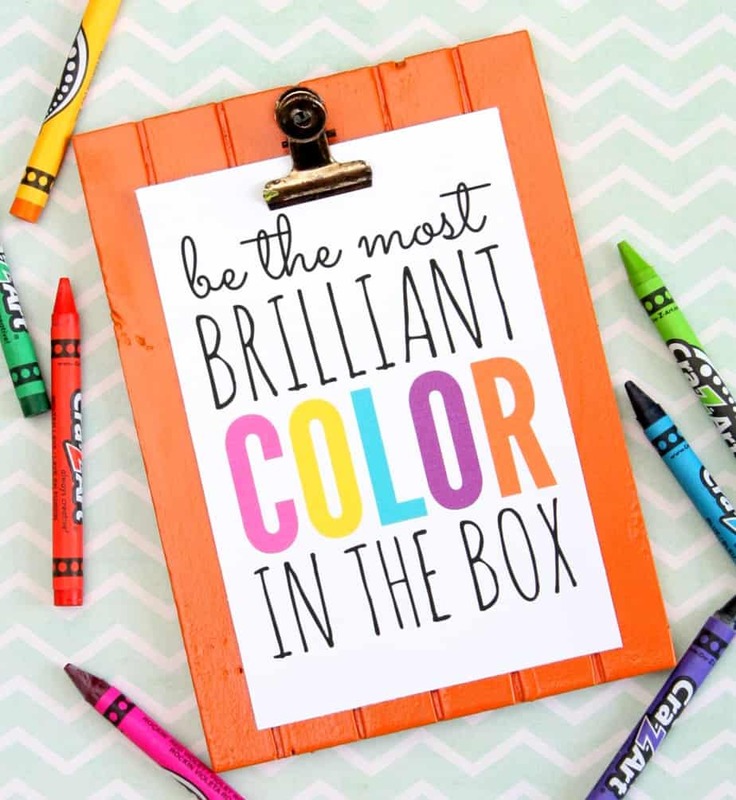 I wanted to pop in real quick to share a fun printable I made for my niece. I’m headed to Maryland tomorrow and my brother asked me to help decorate her bedroom. I’m working on a gallery wall and I’m really excited to add this to one of the frames. 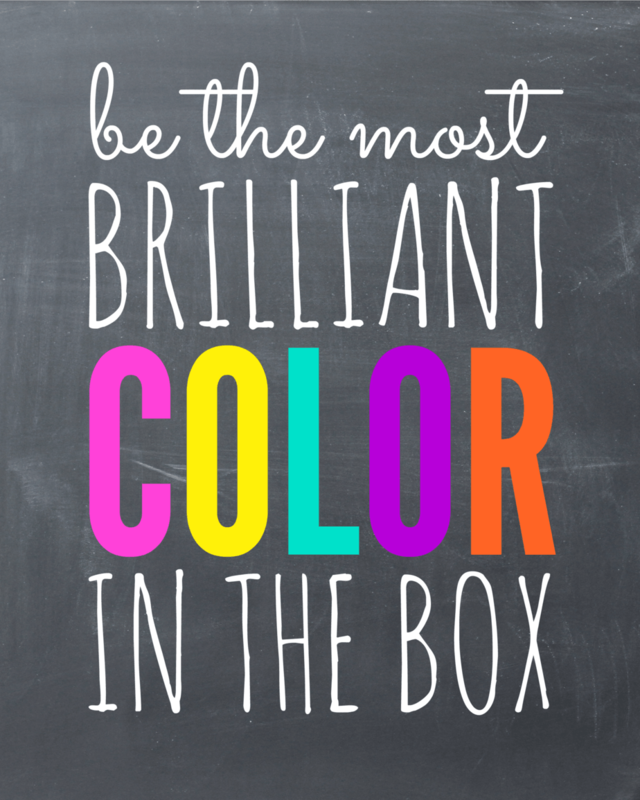 I love the message – Be the Most Brilliant Color in the Box! 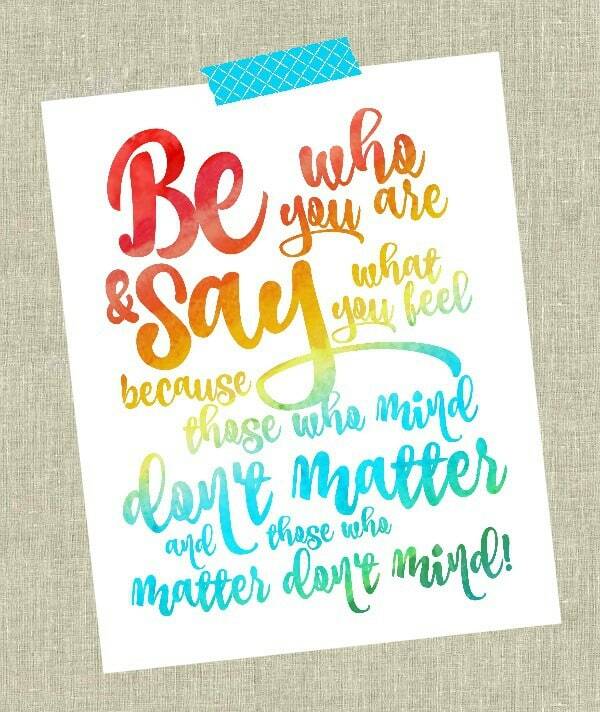 I also made a chalkboard version because I’m still obsessed with chalkboard printables. Now I need to decide which one to use in her room. 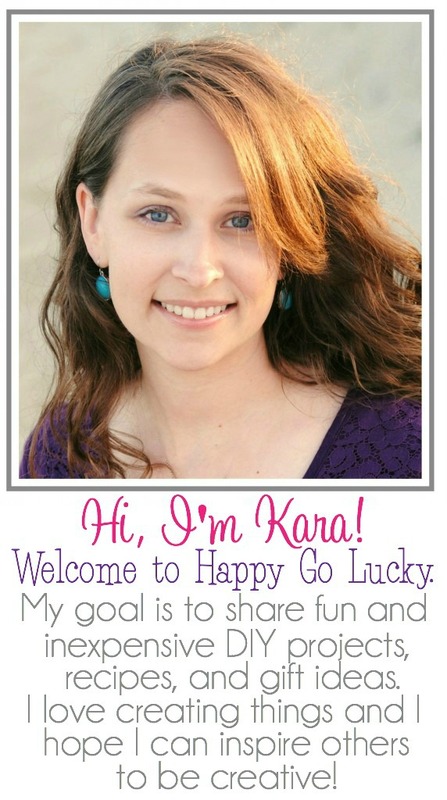 Check out more free printables that I love! 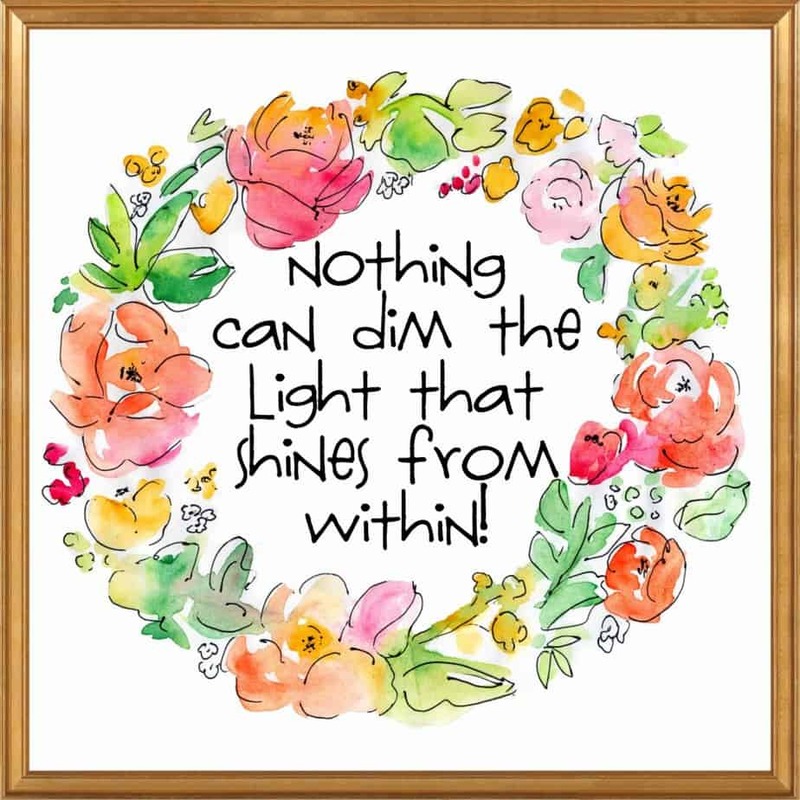 Nothing Can Dim Your Light! 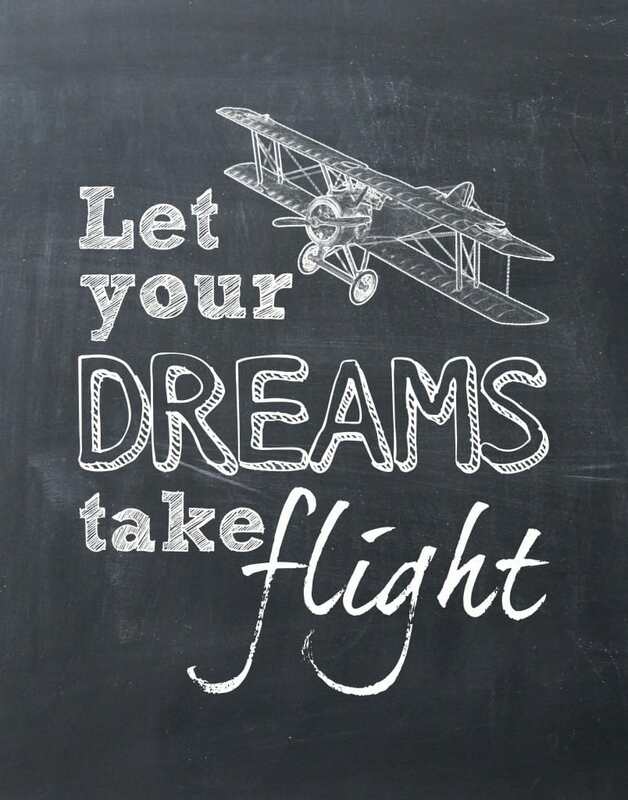 I hope you’re having a fabulous week!